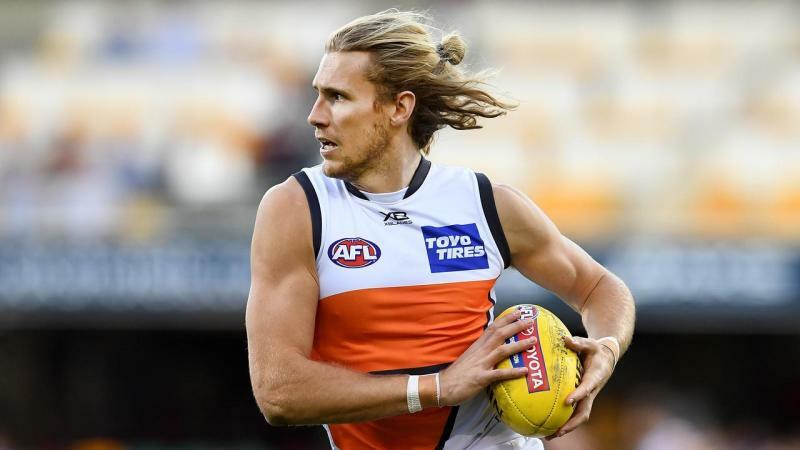 Key defender Nick Haynes has inked a five-year contract extension with the GWS Giants through to the end of the 2024 AFL season. A member of the Giants inaugural squad, Haynes was off contract at the end of the upcoming season but quashed any speculation about his future in 2019 but recommitting long- term. New of Haynes' re-signing on Friday followed small forward Brent Daniels also extending his time with the club the end of 2021. Giants list manager Jason McCartney was understandably pleased to witness the two signatures. "To sign Nick on a five-year deal is a big coup for one of the most reliable defenders in the competition," he said. "Nick goes about his business quietly and sometimes doesn't get the plaudits externally, but we see him as one of the most impressive defenders in the game and a key part of our defensive set-up." Haynes was nabbed with pick seven in the 2011 draft as a midfielder but then switched to the backline, where he has cemented his spot. "I'm really excited to sign a long-term contract extension. I re-signed because I absolutely believe in where this team can go, and I want to be part of building this club for long-term success," Haynes said. McCartney added Daniels, 20, would build on his maiden campaign. "We've been delighted by what he has brought to our group since he first walked through the door 12 months ago," he said.